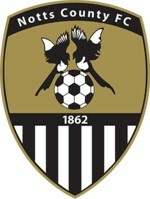 Founded in 1862, Notts. County FC is the oldest professional association football club in the world, and were one of twelve founder members of the Football League in 1888. In November 1947, the transfer fee of £ 20,000, which would these days be equivalent to around £ 750,000, would by today’s standards be regarded as an extremely modest sum for a top-player. 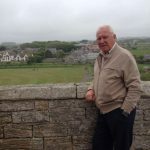 Lawton made the decision to drop down two divisions in order to be reunited with the recently appointed club manager Arthur Strollery, his former masseur and friend at Chelsea. Lawton had previously promised Strollery, that should the opportunity arise, he would be prepared to sign for him, with a firm handshake serving as the contract. So when the list of club’s arrived for Lawton to consider, Strollery and Notts. County was the only club for him. He was also additionally attracted by a promise, made by the vice-chairman, of a job outside of football upon his retirement. The world of football was astonished when the news broke that the England centre-forward had left the top-flight to sign for the ‘Magpies’. It was beyond belief a superstar striker like Lawton would agreed to leave Chelsea for Nottingham at the pinnacle of his career. For although Notts. 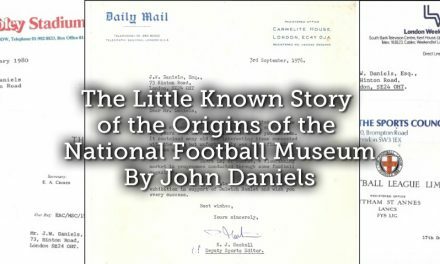 County FC could boast being the oldest professional association football club in the world, at the time of Lawton’s arrival at the club, it was considered as being an unexceptional, unfashionable team, embedded in the ranks of the lower-league. An image which was transformed the minute Lawton walked through the gates at Meadow Lane. There can be no doubt Lawton’s decision to play for the Third Division South club Notts. County undeniably caused damage to his international career. 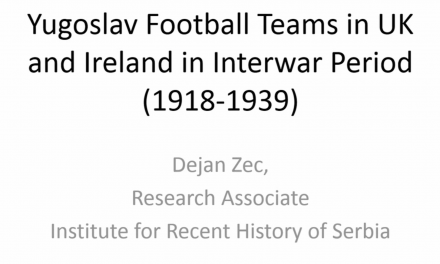 For despite scoring a couple of dozen goals in his wartime outings, the selectors were not prepared to stick with a player who was out of touch with top flight football. Lawton did play several international games for England while with Notts. County, but it does seem Third Division football curbed his international career, and he soon lost his spot as England’s first-choice centre-forward. On his home debut for the ‘Magpies’ Lawton found the net twice in a 4–2 win over Bristol Rovers, in front of and enhanced crowd of 38,000 spectators. An enormous increase over the number of supporters attending previous home games at Meadow Lane, which were typically in the region of 6,000 to 7,000. Although Tommy ended the 1947-1948 season with a goal tally of 24 from as many games, he characteristically managed to once again irritate the club’s directors by obstinately insisting on pay rises for his team-mates, and demanding the long-standing practice of director’s friends and family travelling to away games on the team coach be brought to an end. In the following season’s campaign Lawton formed a fruitful forward partnership with Jackie Sewell, adding another 23 goals to his aggregate total in 40 appearances. County finished mid-table, and as a consequence Strollery was fired. Initially, Lawton was offered the job of becoming player-manager, but he refused the invitation and suggested the club appoint Eric Houghton as a suitable alternative. 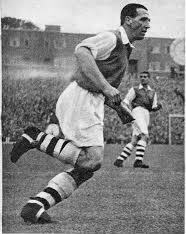 The Lawton-Sewell partnership continued to flourish throughout the 1949-1950 season, with Tommy remaining prolific at club level, once again finishing as the division’s leading marksman with 31 goals in 37 league games, breaking the 30 goal mark for the second time in his career. His contribution was instrumental in helping Notts. County surge to the top of Division Three South and secure promotion after a 2–0 win over local rivals Nottingham Forest at Meadow Lane, seven points clear of Northampton Town. With his first marriage on the rocks and coming to an end, Lawton struggled with poor form during the following season, and was beginning to experience growing discontent with his teammates. He was further angered when in March 1951 the club broke Lawton’s previous transfer record and sold Sewell to Sheffield Wednesday for £ 34,500. In his opinion he felt the move demonstrated lack of ambition by the club’s directors. His seasonal totals of 9 goals from 31 games in 1950–51, and 13 from 31 games in 1951-1952, was to say the least disappointing, and once again he was made available for transfer. To make matters worse, he soon discovered the well paid job the club had promised him outside football failed to materialise. Notts. County supporters were on the whole were extremely happy with the contribution made by the striker during his five year spell at Meadow Lane, during which he found the net 103 times in 166 appearances for the club. In addition he was influential in ensuring Notts. earned promotion to Division Two. 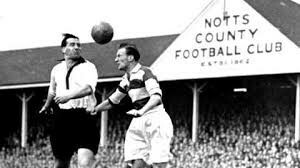 Tommy’s enthusiastic fan base remained as one in their choice of his most memorable finish, an explosive bullet-like header to secure a 2-1 victory over neighbourhood rivals Nottingham Forest at the City Ground in 1949. Paired with his rampant four goal tally against a dishevelled Newport County in the club’s triumphant 11-1 record victory. There were rumours linking Tommy with a potential lucrative deal which would have seen him back in the top-flight, but it failed to materialise, and after a season and a half of struggle, Lawton left in the spring of 1952 to return to London and join Second Division Brentford, where he was to become player manager. 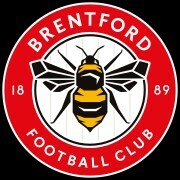 Founded in 1889, the Brentford Football Club is a professional football club based in Greater London, which has played its home games at Griffin Park since 1904. Lawton joined Second Division Brentford for a club record fee of £ 16,000 in March 1952. The club manager, former Spurs centre-forward, Jackie Gibbons left at the start of the playing season, and was succeeded by his assistant Jimmy Bain, who had served the ‘Bees’ for 28 years as player, assistant manager and manager. Bain proved ill-suited to management, and in January of the following year Lawton was appointed player-manager, with Bain as his assistant. Now in his thirties, Lawton failed to impress at his new club and over the next two seasons only managed to score 17 goals in 50 games. 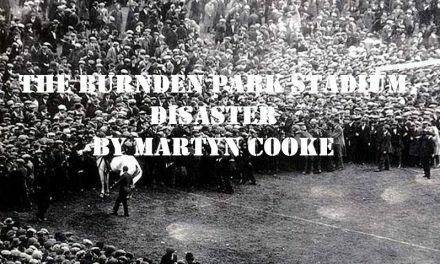 Moreover, his excessive demands on the players resulted in him losing control of the dressing room, and to top it all, the pressures associated with club management impacted badly on his form. Having sold two of its best players, Ron Greenwood and Jimmy Hill, Brentford continued to struggle under Lawton, who responded by signing two veteran wingers, Frank Broome and Ian McPherson from Notts. County. The pair combined to form an attacking trio alongside Lawton, which sported an aggregate age of 104. 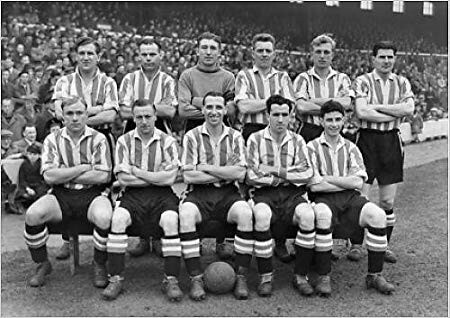 The 1953-1954 season got off to a poor start, and when the Griffin Park crowd began to mock the forward line, by chanting the lyrics to ‘Dear Old Pals’, Lawton eventually felt compelled to resign and serve out the rest of the season as a player. 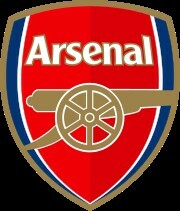 Founded in 1886, Arsenal Football Club is based in London, and was the first club from the South of England to join the Football League in 1893. In September 1953, the Brentford chairman informed Lawton that First Division Arsenal had sought the club’s permission to talk to him, and he was asked to call the Arsenal manager, Tom Whittaker. Tommy couldn’t grab the phone quickly enough, following which he was summoned to dash across London for a meeting at Highbury, where Whittaker invited him to sign for Arsenal. Sworn to secrecy, Lawton signed on the dotted line, and the following day played his first game in the famous red and white shirts the next day against Manchester City. 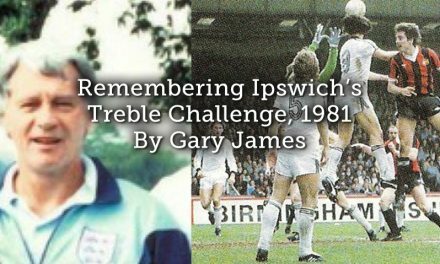 To be given another opportunity to prove he could still score goals at the highest level of the game at the age of 34 was beyond Lawton’s wildest dreams. Understandably the veteran’s mind wandered back to that fateful day at Burnley, when George Allison rang to say Arsenal had wanted to sign him. For now he considered it to have been one of the greatest mistakes of his football career that he didn’t join Arsenal when they tried to sign him from Burnley. Following a disappointing start to the First Division champion’s season, Lawton was signed by Tom Whittaker, for a fee of £7,500 plus the Scottish winger Jimmy Robertson, who was valued at £ 2,500. 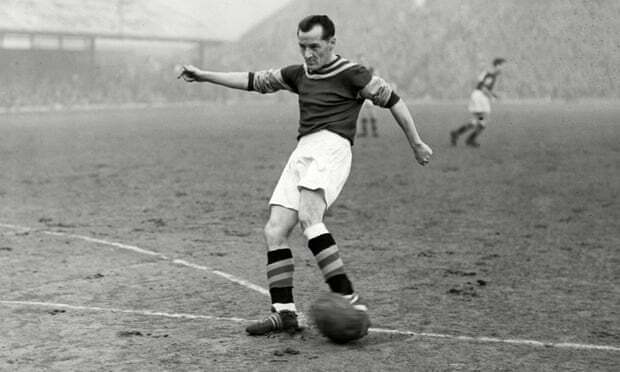 Whittaker had spent his early career in the North East, but found success in 1946 when he brought in veterans such as the centre-forward Ronnie Rooke from Fulham, and mid-fielder Joe Mercer from Everton. Lawton was clearly past his best, and after picking up an injury on his debut appearance, was limited to ten outings in the season’s campaign. Despite not being a regular in the first team, he contributed seven goals in his 20 appearances in the 1954–1955 season, and still managed to notch up a hat-trick against Cardiff City on the opening day of the next campaign. With his playing career in decline, Lawton retired from the professional game as a player after eight matches into the season. He contributed a total of 13 goals in the 35 league games in which he appeared for Arsenal. 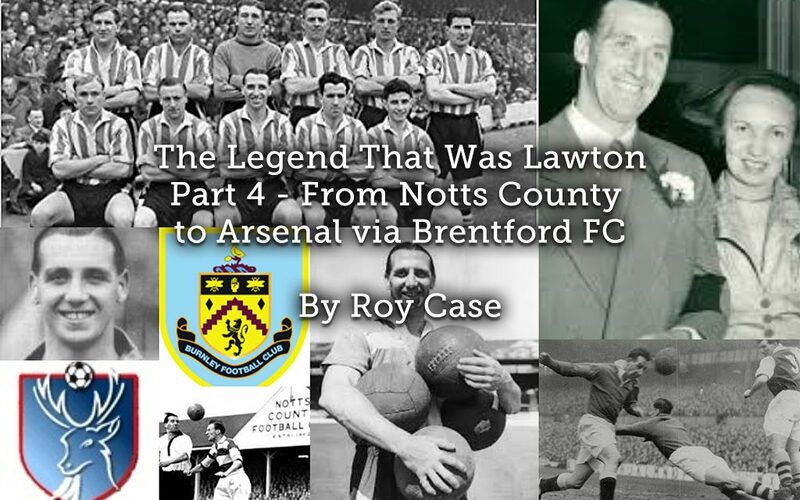 Now in his mid-thirties, Lawton was and paid the princely sum of £ 17.00 a week with Arsenal, when he was invited by the brewers of Guinness to head a poster campaign for a fee of around £ 10,000. However, he was compelled to turn down the lucrative offer as Arsenal players were not allowed to be associated with alcohol.